Very happy with my two new shower doors! We had shower curtains in two bathrooms and decided to upgrade... I'm very particular with work done on my house and they were very patient with all my questions and concerns. I'd highly recommend True View. Just had a major bay window replaced. The crew showed up on time and did a great job. They made a very difficult job really look easy. Well done. Working with True View was an easy and pleasant experience from start to finish. We love our whole house of new windows! The crew was clean, friendly and professional and they cleaned up after themselves. I have already recommended True View to friends! 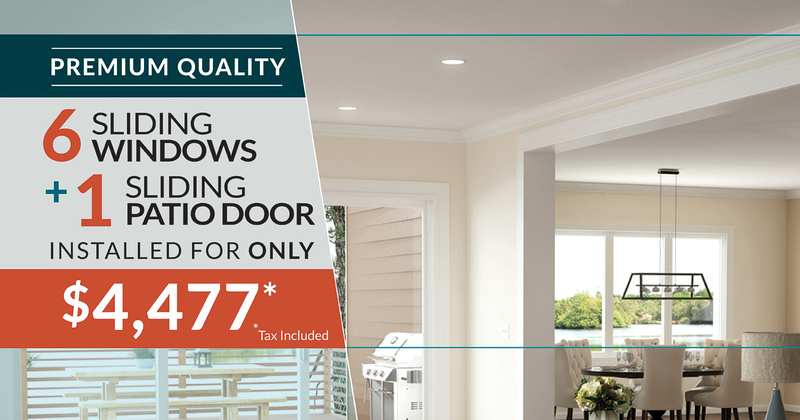 *Pricing includes: The removal of existing and installation of 6 windows and one door, or 7 windows, Series 200 or 400 with dual pane low E Glass, up to 36 total sq. ft. per window. White or Sand Vinyl Products Only. Installation is a Flush Fin style — without the need for stucco removal or paint touch up. Additional charges may apply for: larger or custom-sized window, tempered glass as required by building codes, or a specialty glass or alternative installation is selected by the customer. This offer may not be combined with other discounts or coupons. Please visit our showroom or call for an in-home estimate. True View Windows & Glass, Inc. ROC#186739.